Dr. Lindy Harb BSc. ND. 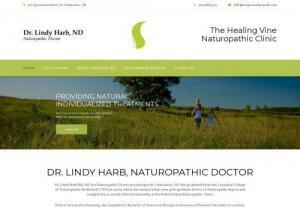 Is a Naturopathic Doctor practicing in St. Catharines, ON. She graduated from the Canadian College of Naturopathic Medicine(CCNM) in 2006, where she earned a four year post-graduate Doctor of Naturopathy degree and completed a 12-month clinical internship at the Robert Schad Naturopathic Clinic.